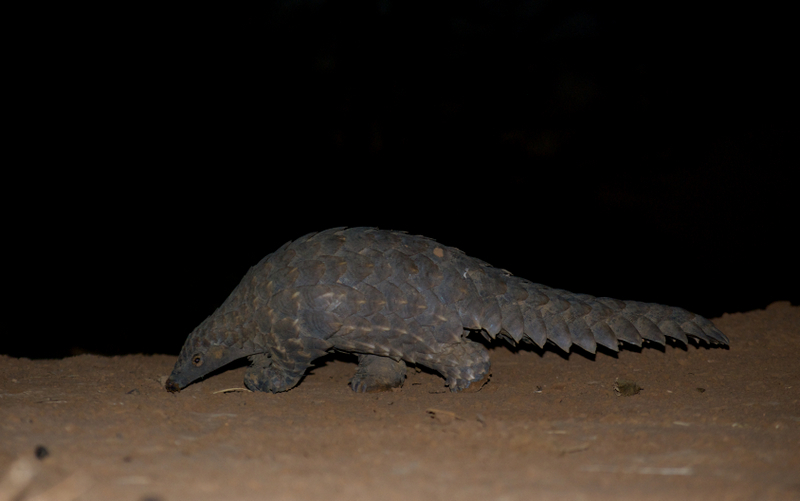 While you may not read as much about them in the national press as you do about rhino poaching or illegal elephant tusk trade, Pangolins (Smutsia temminckii) are the most trafficked animals in the world. Highly sought after for use in traditional medicines in many countries, these shy, nocturnal creatures face constant danger from ruthless poachers. Fortunately for those of them that live in the Lapalala Wilderness area, the area offers a relatively safe haven and the only real risks they face here are from their natural predators – of which there are relatively few – or being ‘shot’ by a tourist with a long camera lens who may be lucky enough to spot one on a game drive. Unfortunately, sightings of these reclusive creatures, of which there are eight species, are very rare. They hide in burrows during the day to escape the heat of the sun and only emerge after dark. They will quickly curl up into a tight ball if they feel threatened in any way. 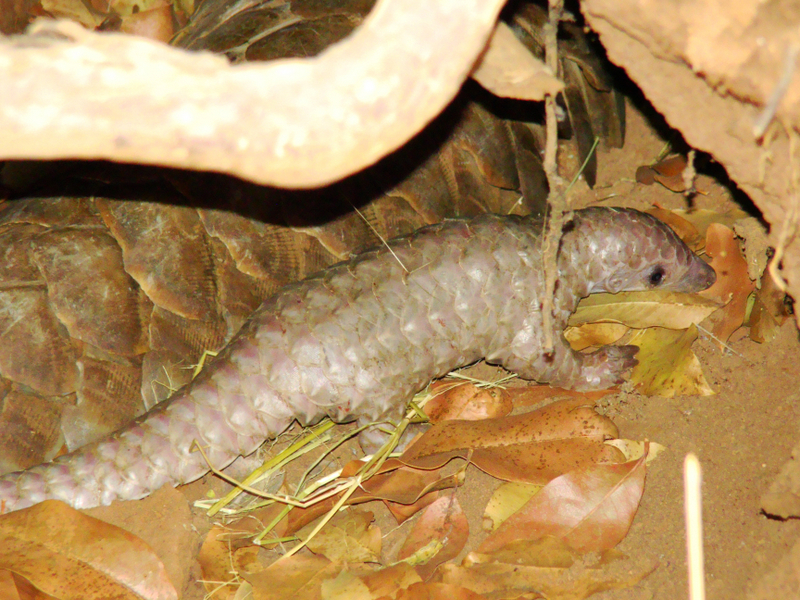 Once rolled up in this way, it is impossible to uncurl a Pangolin. Their soft underbellies are well protected by their hard scales that cover around 40% of their body. And while they may look almost comical, you don’t really want to mess with a Pangolin, because they are master swordsman, wielding their armour-plated tails in a fierce sideways slicing action that could do some serious damage to the lower limbs of an unsuspecting person or animal. 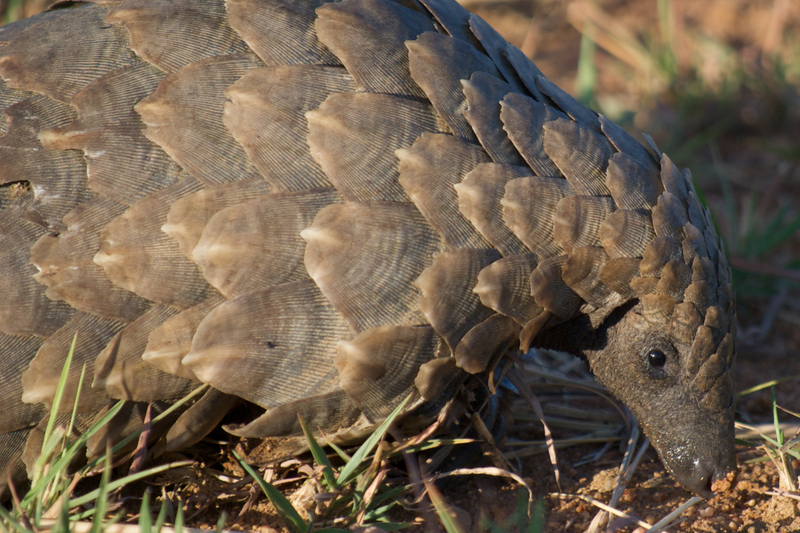 Pangolins have no teeth and their jaws are fused, but that doesn’t stop them from feeding on tens of thousands of ants and termites every night. They use their powerful arms and hard claws to rip through hard ground and termite mounds, exposing the upper galleries the delicacies within. Then they extend their extremely long and sticky tongues into the exposed tunnels and draw the ants into their mouth. They have no problem with ingesting large amounts of sand with their dinner as this helps with digestion. 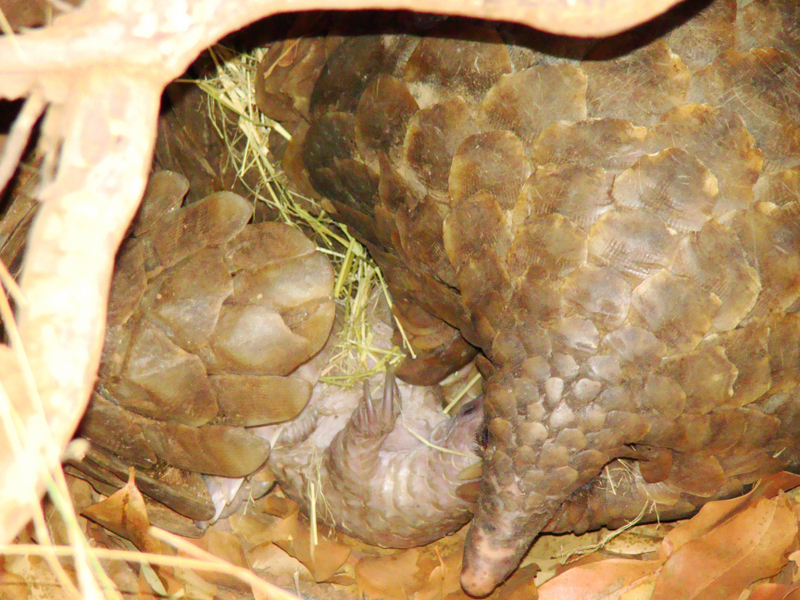 Baby pangolins are born sporting a pink-white skin tone and, since they still have to grow into their tough armour, they spend their first weeks clinging to mom’s belly so she can curl up around them for protection if needs be. Later, when they are older and stronger, they prefer to hitch a ride on their mother’s back – a special and rare sight indeed.